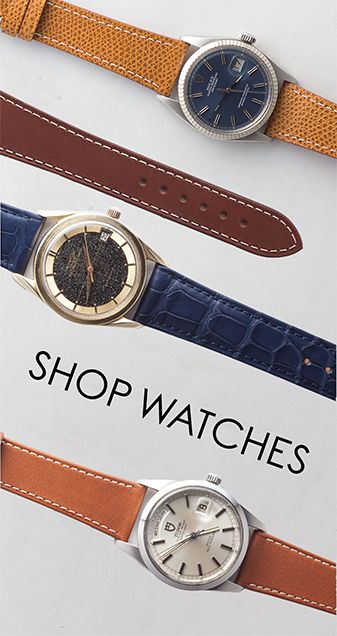 Every Baselworld, I watch with baited breath for the newest releases from some of my favorite brands. This year was no different, though many of my other favorites weren’t participating (looking at you, Swatch Group). Still, the brands that did remain, namely Rolex, Tudor, Patek, and NOMOS, gave us plenty to talk about. Unfortunately, not all of them were good. A few different pieces this year caused a bit of controversy, and Christian has already touched on some from Patek Philippe and Rolex. But now, a bit over a week after the show wrapped up, I wanted to revisit some of the pieces from this year that I’ve had a particularly strong reaction to, either positive or negative. For this first installment, we’re going to take a look at the pieces I was less than enthusiastic about that have, somehow or another, grown on me. I really didn’t think this watch was ever going to be saved for me. My initial reaction upon first seeing it was something to the effect of “Ew, why?” That stayed pretty consistent until a couple of days ago, when I saw an unprofessional, unpretentious wrist shot of it on Instagram from someone at the show. There were no illusions about what it was like, no attempts to make it look like something special or unique. And in that environment, when the P01 was allowed to look like a tool watch, separate from Tudor as we now understand them, it just clicked for me. I’m still not crazy about those bulbous endlinks that make up the bezel lock system, but from the head on perspective, they don’t look nearly as absurd. And while the Seiko comparisons are not only apparent, but kind of justified, because of the four o’clock crown, it does feel more at home on this watch than it did initially. I spent a couple days trying to envision the P01 with a more traditional crown at 3 o’clock and it just looked…wrong. 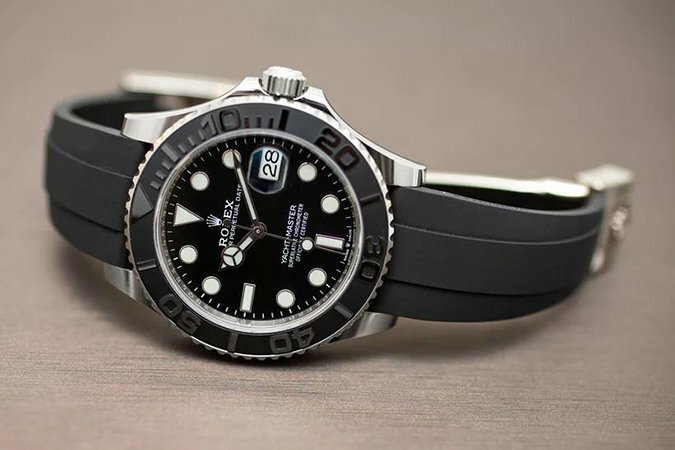 The leather/rubber hybrid strap looks really good, something I thought the first time I saw it as well, and like I said, on the wrist, the thing looks more like a complicated, purposeful tool than a luxury item which, when contrasted with many of the other releases from this year, helps it stand out to me. I don’t think I’m alone in being really confused by the new white gold, meteorite dial Pepsi GMT when I first laid eyes on it. It feels gaudy, intentionally so, a piece meant more for flash than for any kind of classic, sporting style. And then I saw something in it, when looking quickly, that totally flipped my perception of the watch on its head: the dial, when in the right kind of glare, doesn’t look like meteorite at all. Rather, it looks white, and then I saw what I think Rolex was trying to do. 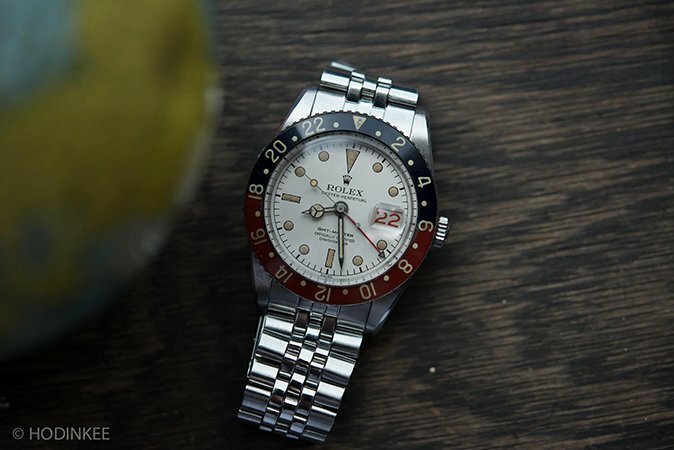 The original GMT Master watches came with the now iconic Pepsi bezel, but they didn’t feature black dials; rather, their dials were white, now referred to as “albino” by collectors. 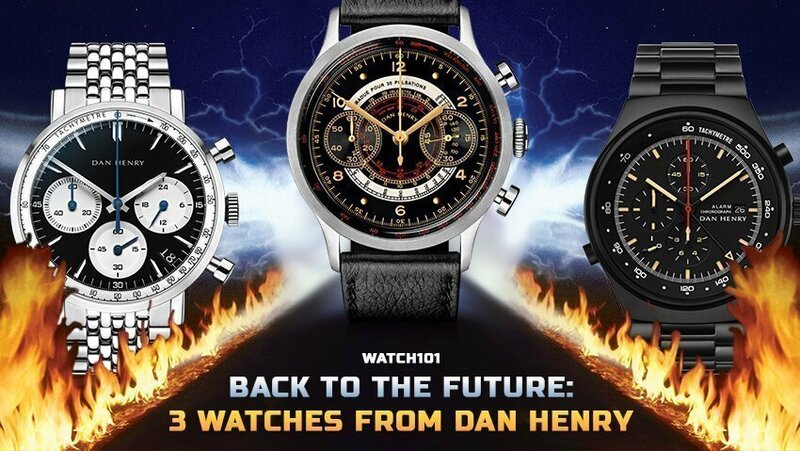 These watches are rare in every sense of the word, and while we know Rolex doesn’t often like to upset their own vintage market if they can avoid it, it seems clear to me that the meteorite dial being significantly more white than gray or silver is a sort of subtle homage to these early GMTs. Making it a white gold piece, and thus unattainable for most enthusiasts helps to maintain that status quo of their vintage market a bit, while also offering up a model that maintains some of the aesthetics of the original. Is it gaudy? 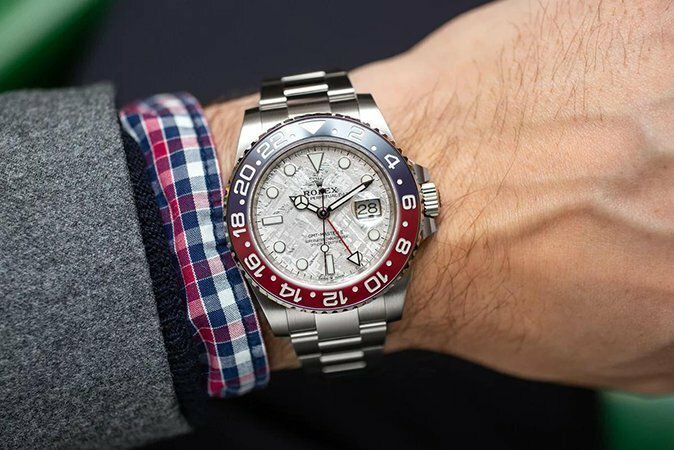 Absolutely, but I generally don’t have a problem with gaudy if there’s a reason, and while I can’t confirm that Rolex did this on purpose, it certainly seems like an otherwise odd choice to make if they weren’t. I made no secret of the fact that I wanted a Submariner with an Oysterflex Bracelet this year. I could have grovelled at the feet of Hans Wilsdorf’s ghost to make this a thing that happened. I knew, in my gut, that it wouldn’t, but what I wasn’t expecting was just how close they would come. Rolex, ya tease. The Yachtmaster 42 is a first on a few levels – it’s the first 42mm member of the Yachtmaster family, it’s the first gray metal Rolex “diver” to get the Oysterflex, and it’s the first time that Rolex has ever actively trolled all the people who wanted a steel model on the Oysterflex. Okay, that last one might be a bit of a reach, but still, it’s a pretty fascinating watch at its core, yet I just didn’t connect with it at first. Part of it is my own slow gravitation towards smaller watch sizes as I progress in my collecting career, and part of it is my slight saltiness over not getting the Sub on the strap (I think I may have mentioned something about that). 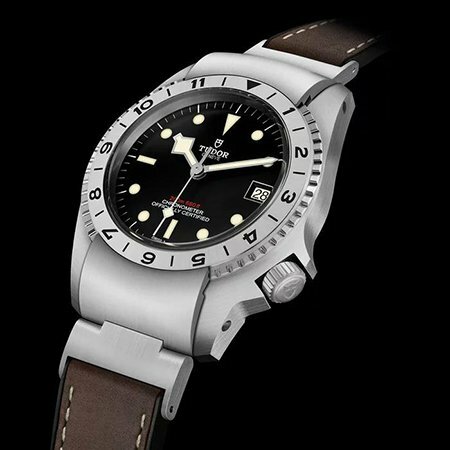 But at the end of the day, I think it just felt like a cop out, a way for Rolex to continue to reserve the Oysterflex for precious metal watches while making it look like it was featuring on a steel model. After a bit, though, I began to remember my experience trying on the Everose Yachtmaster 40 for the first time, the way the heft of the solid block of gold felt on the wrist, and how well balanced it somehow was with the otherwise light Oysterflex Bracelet. That watch felt like the exact definition of a luxury sport watch, so the fact that I was having such a mental block with an ultimately similar watch felt…kind of pointless. When you look at the watch for everything it is, rather than everything you wished it was, you may just find yourself beginning to appreciate it a bit more. I know I did. 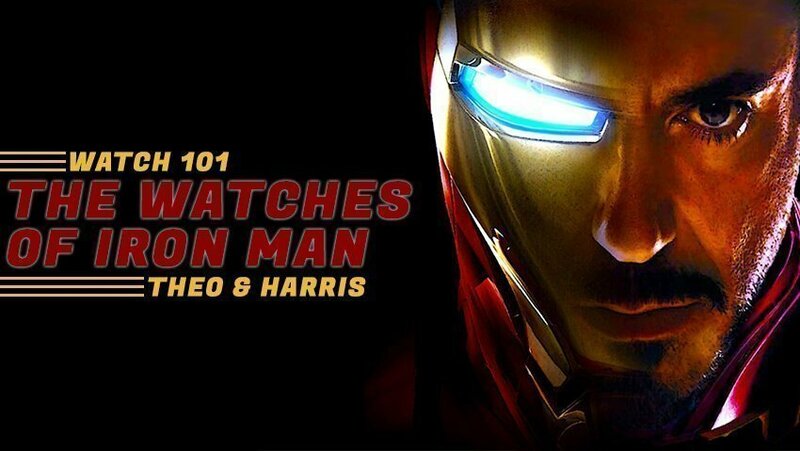 Alright geeks, be sure to check back Thursday for the watches I loved at first, and have now grown to be a bit less fond of. Until then, leave your thoughts down below and, as always, keep it classy, watchfam!